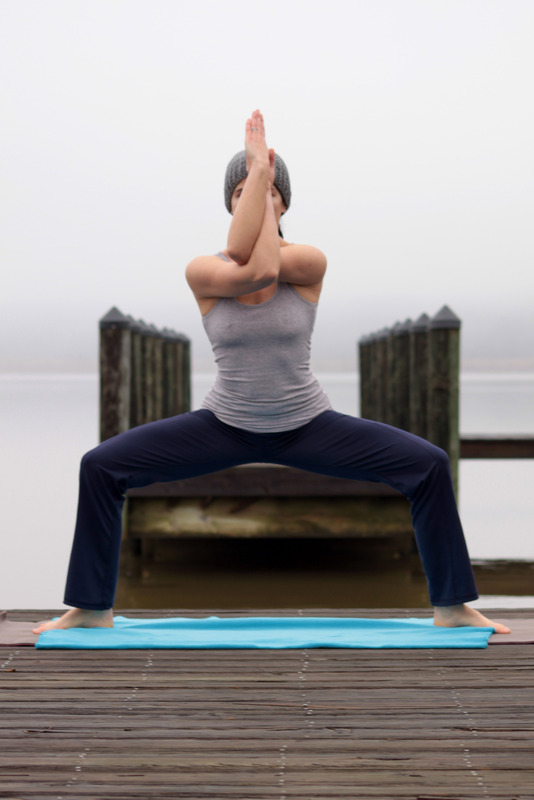 Goddess Squat (Utkata Konasana), also known as the Fiery Angle Pose, is performed to build inner heat and to harness physical, emotional, and energetic challenges. This pose supports you when you have difficulties speaking your inner truth. This pose stretches the inner thigh, groin and hip areas. It tones and strengthens the core muscles, strengthens the quadriceps and inner thigh muscles, restores the shoulders, arms and upper back, heats the body and increases circulation. For pregnant women: Goddess pose prepares the body for childbirth by creating more room in the pelvis. Practice with caution if you had any hip injuries.